The Westphal Mansion Inn Bed & Breakfast is a Local Historical Landmark site; in Hartford, WI. It is a restored, 1913 English Tudor mansion perched on a terraced triangular hill, overlooking Hartford's Historic Downtown. It is located at the corner of 90 South Main St. and Branch St.(Hwy 83) in Washington County, Wisconsin. The Inn is 30 miles North of Milwaukee, 1 hour from Milwaukee's General Mitchell Airport and 2 hrs. from O'Hare Chicago Airport. It is the perfect escape for a romantic getaway, adult leisure, business travelers, small weddings, shower parties, family reunions, church retreats and performing artists; right in the middle of the beautiful countryside of the Kettle Moraine in Wisconsin. 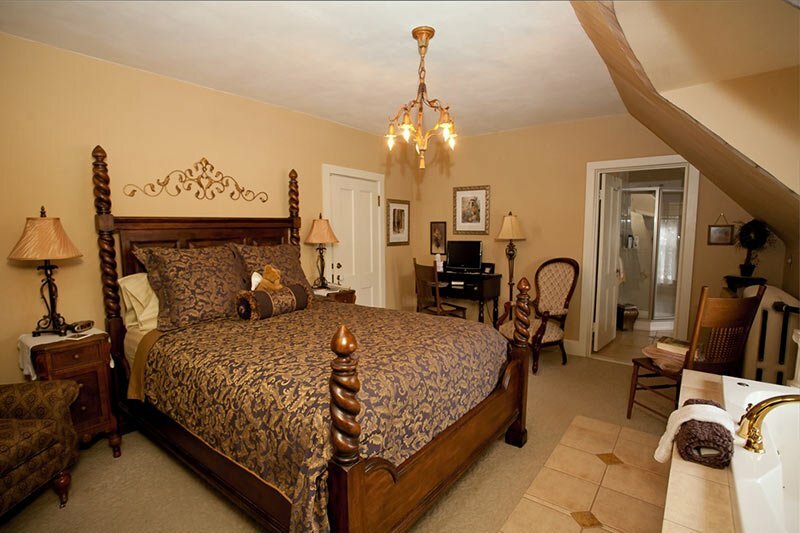 The 8 spacious suites abound with warm colors, antiques, unique recycled furniture, rich textured fabrics, elegant linens, vintage queen and king beds, cozy down comforters, robes, decadent chocolates and fresh flowers. 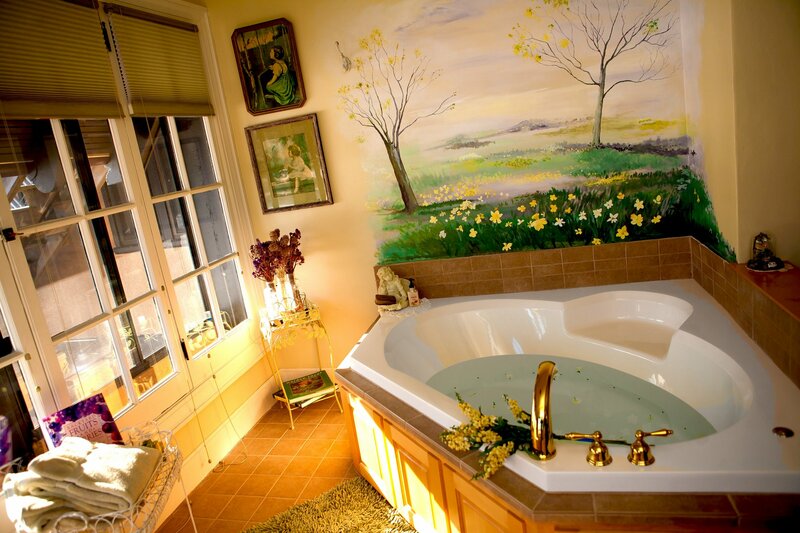 Tranquility is felt in luxurious, private attached baths with ceramic tile showers and vintage soak tubs. Some suites have gas fireplaces, air bubble massage tubs and private porches to enhance a Romantic and relaxing experience! 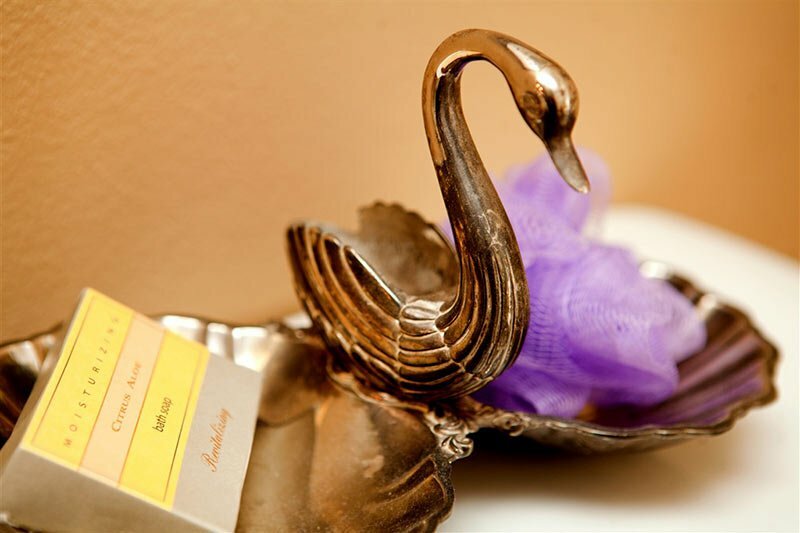 The Inn has a delicate mix of old and new amenities. It has Central Air Conditioning throughout and Free wireless internet. It provides a refreshing alternative to the mundane hotel and motel accommodations that a traveler may find when looking for Hartford, Wisconsin lodging. Breakfast is served in our formal dining room each morning. It begins with unique Harney & Sons teas and Stone Creek coffee, followed by an elegant, full four-course breakfast, including a decadent dessert. We also pay special attention to Specialty diets and food restrictions. The Westphal Mansion Inn Bed & Breakfast is a short distance to area Parks, Kettle Moraine Pike Lake State Park, Ice Age Trails and Holy Hill; just a short walk to unique shops, restaurants, Schauer Art's Theater of the Arts, and the Wisconsin Automotive Museum. So if you are traveling from Madison, Milwaukee, Chicago, Wausau, or even St. Paul, MN, the mansion is just far enough away, but not too far for a Romantic weekend getaway or for business travel! Our eclectic boutique has a mix of Antiques, "Indulgence Chocolates," Vintage Keepsakes, "Harney & Son's" Tea, Re-purposed and Up-cycled one of a kind collectibles. New Baby/Children's Line of Boutique clothes & Accessories. Featuring Cora's Handmade Chenille Jackets, for little girls and women. "Century Farmhouse" Handmade Soaps, Fripperies, unique Baby gifts & Ladies accessories, Infinity Scarfs, "Fragrant Isle" Lavender Farm & Shop, products from Washington Island, WI., can also be found. Designer & Artist Originals, and small Consigned Antiques are always welcome! Simply "Click" on "About Us" at the top of this page, to find photos & information about our Boutique.